I have been a fan of natural and herbal products. 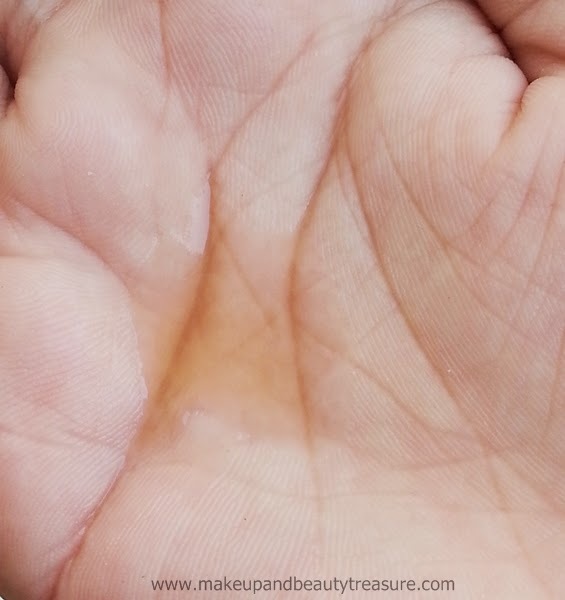 After trying Anherb Natural Dry Hand Wash (Read my review HERE) which has become a staple product in my bag, I wanted to try its other products as well. Anherb is an Indian skincare brand that focuses on providing natural and herbal products to its users. 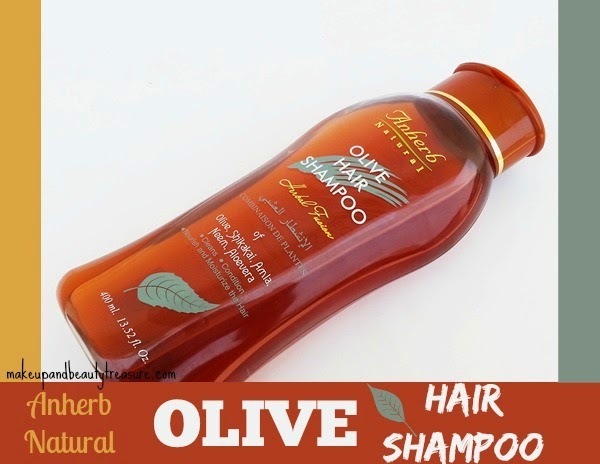 Today I am going to discuss my experience with Anherb Natural Olive Hair Shampoo. 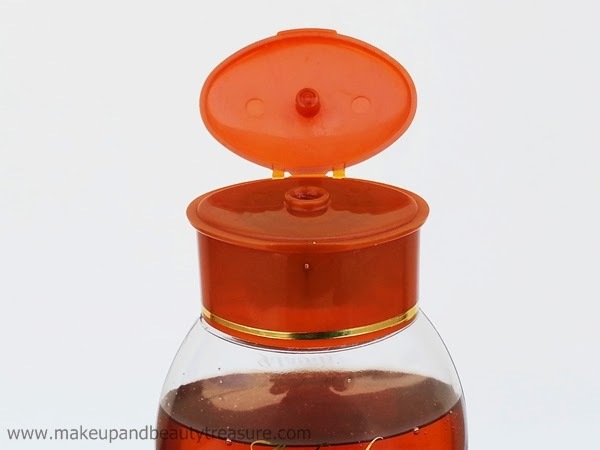 Anherb Olive Hair Shampoo comes in a sturdy, clear plastic bottle with a brown flip top lid. The packaging is pretty simple and understated. The lid seems fragile to me. I feel it would break if I would open it with force. Anyways it did not seem to break as once it dropped off my slippery hands. The packaging is quite travel friendly and the bottle can be easily carried around in a bag without any fear of leakage or spillage. The shampoo is light brown in color with a mild and pleasant smell. The texture of the shampoo is soft and smooth with runny consistency. I always make sure to dilute my shampoo to reduce the damage the chemicals may cause to the hair. The shampoo is easily applied and gets spread to my medium length hair. Whenever I oil my hair, I require more shampoo than required though it happens with all the shampoos in my case. It creates rich lather and the scent does not tend to intensify. It is easily rinsed away. After using the shampoo, my hair feels soft, thoroughly cleansed (I apply oil before washing my hair!) and manageable. I have soft, silky hair with dry and frizzy ends. After drying my hair, my ends do not feel soft and seem quite dry. 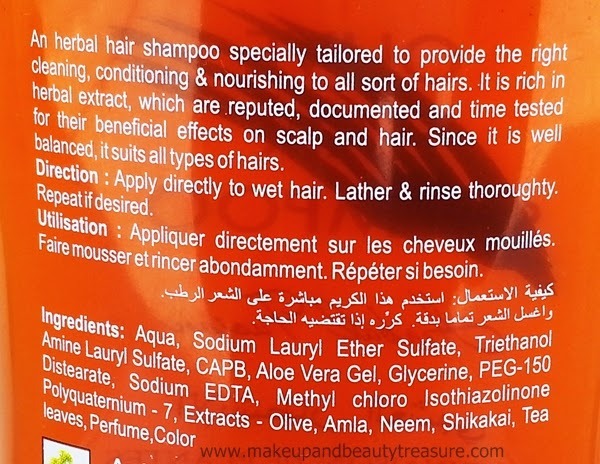 Despite containing many natural ingredients, it does not add any shine to my hair. My hair does not feel bouncy or voluminous which actually disappointed me. It controls the frizz but I always make sure to apply a good conditioner (currently using Tresemme Climate Control Conditioner!) to make my hair ends soft and moisturized. It does not leave greasy residue behind or any build up. The scent does not linger and fades away as soon as the shampoo is rinsed off. Though it makes my ends dry but I have not faced any adverse effects like hair fall or dandruff whilst using this shampoo. • Makes my hair soft, clean and manageable. • Makes my ends dry so I need to use a conditioner after shampooing my hair. • Does not impart shine to hair. • Does not make hair feel bouncy or voluminous. • Might not suit dry hair. 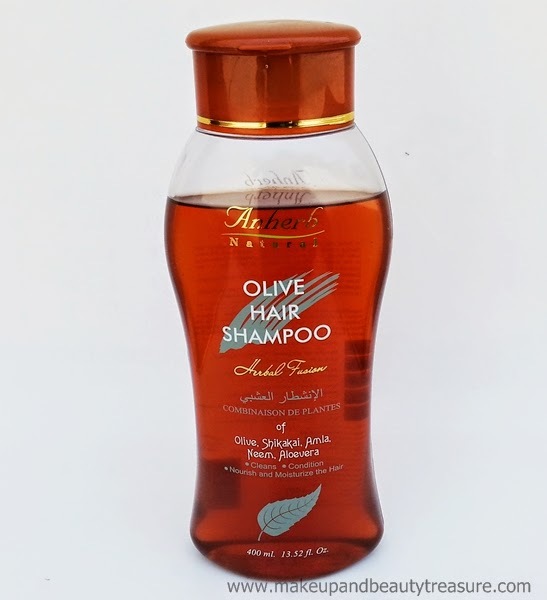 Anherb Olive Hair Shampoo is an average shampoo that makes hair soft, clean and manageable. It makes my dry ends all the more dry despite containing all good ingredients. It does not add any shine to my hair making them look dull and lifeless. I would not recommend it to anyone! 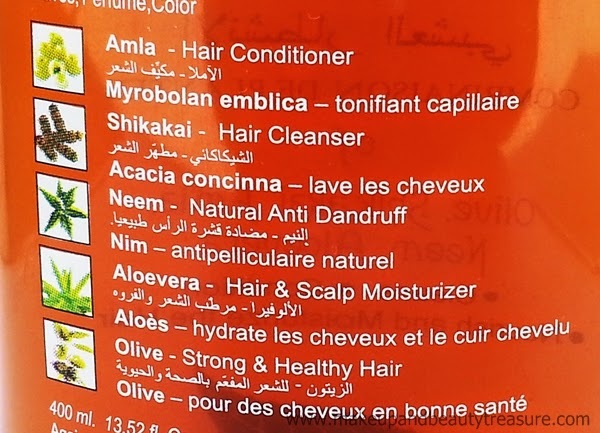 Have you tried Anherb Olive Hair Shampoo? How was your experience? Share in the comments section below!